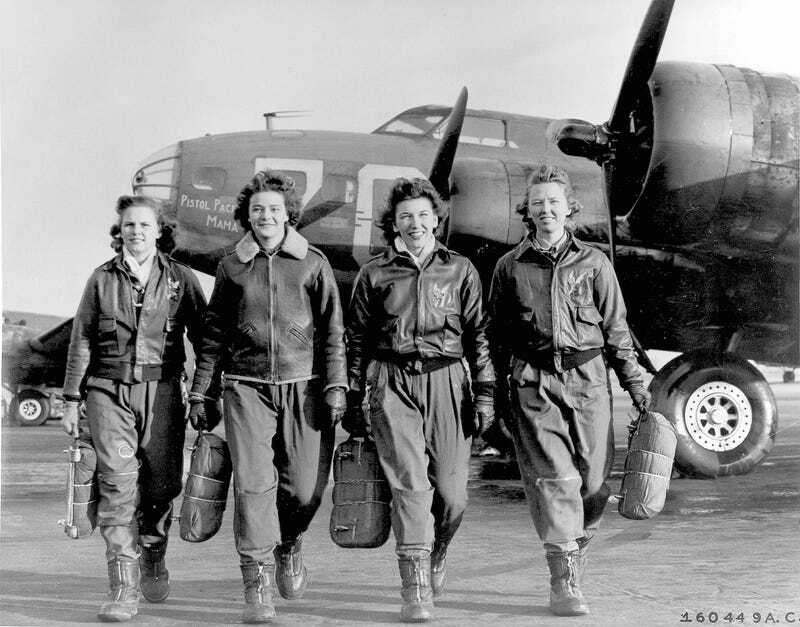 During WWII, just over 1,000 women trained and flew with the Women Airforce Service Pilots (WASP), an organization whose primary mission was ferrying aircraft around the US to free up male pilots for combat. But their service—and sacrifice—was never formally recognized. They were not given veteran status until 1977, when President Carter signed the G.I. Bill Impro vement Act of 1977, which granted full military status for WASP pilots. Then, in 1984, each pilot was awarded the World War II Victory Medal, many posthumously, and those pilots who served for more than one year also received the American Theater Ribbon/American Campaign Medal. However, in 2015, Army Secretary John McHugh revoked the privilege of WASP pilots to be buried in Arlington National Cemetery, citing a lack of space. That decision was finally reversed yesterday when President Obama signed H.R.4336, which allows the cremated remains of WASPs to be interred once again at America’s most hallowed cemetery.